Ford Motor Company is bringing to market a new generation of steering technology that will help make vehicles easier to maneuver at low speeds and in tight spaces. At higher speeds, the new technology will help make the vehicle more agile and fun to drive. Adaptive steering changes the ratio between the driver’s actions at the steering wheel – the number of turns – and how much the front wheels turn. In traditional vehicles, this is a fixed steering ratio. With Ford’s new Adaptive Steering, the steering ratio continually changes with vehicle speed, optimizing the steering response in all conditions. At lower speeds, such as when pulling into a parking space or maneuvering in tight quarters, the new system makes the vehicle more agile and easier to turn, as it dials more steering into the road wheel. Each low-speed maneuver requires less turning of the steering wheel.At highway speeds, the system further optimizes steering response, enabling the vehicle to react more smoothly and precisely to driver input. Adaptive steering can help the driver feel more comfortable and can make any drive more enjoyable. 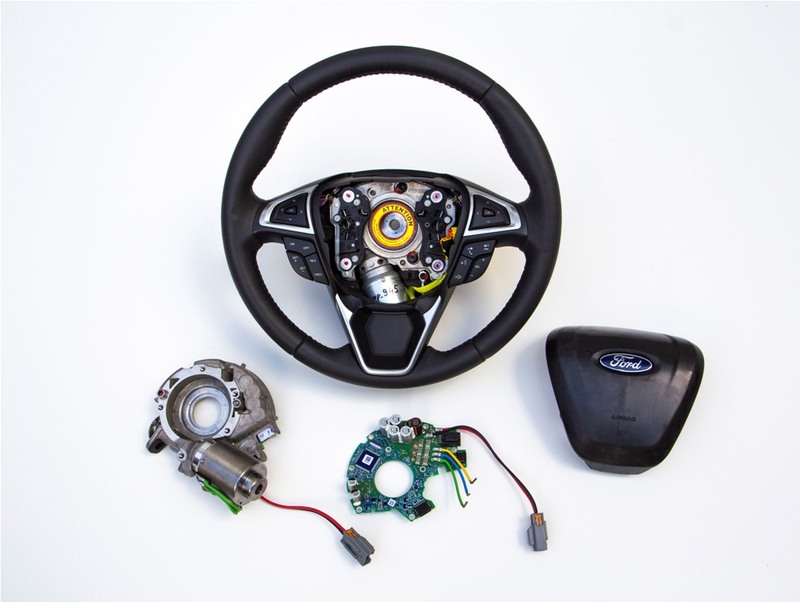 Ford’s system uses a precision-controlled actuator placed inside the steering wheel, and requires no change to a vehicle’s traditional steering system. 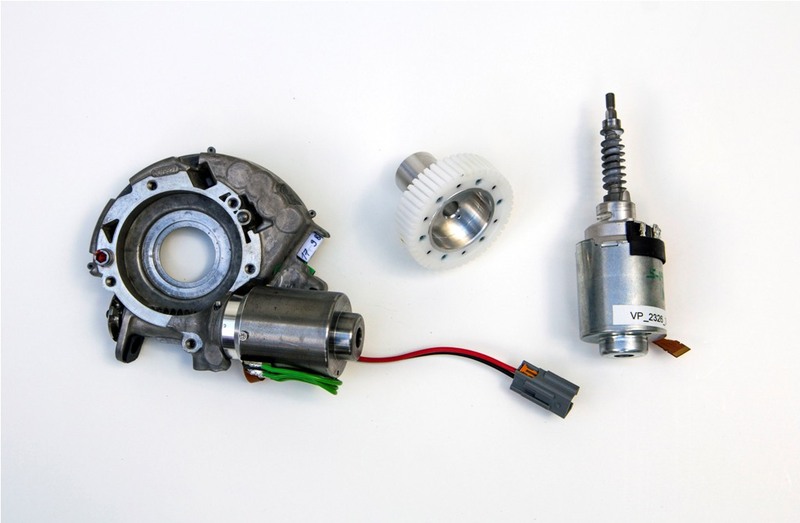 The actuator – an electric motor and gearing system – can essentially add to or subtract from a driver’s steering inputs. The result is a better driving experience at all speeds, regardless of vehicle size or class. Adaptive Steering will be available on select vehicles beginning next year. The system was developed for production by Ford in collaboration with Takata, a leading supplier of automotive steering and safety systems and a Ford Aligned Business Framework partner.